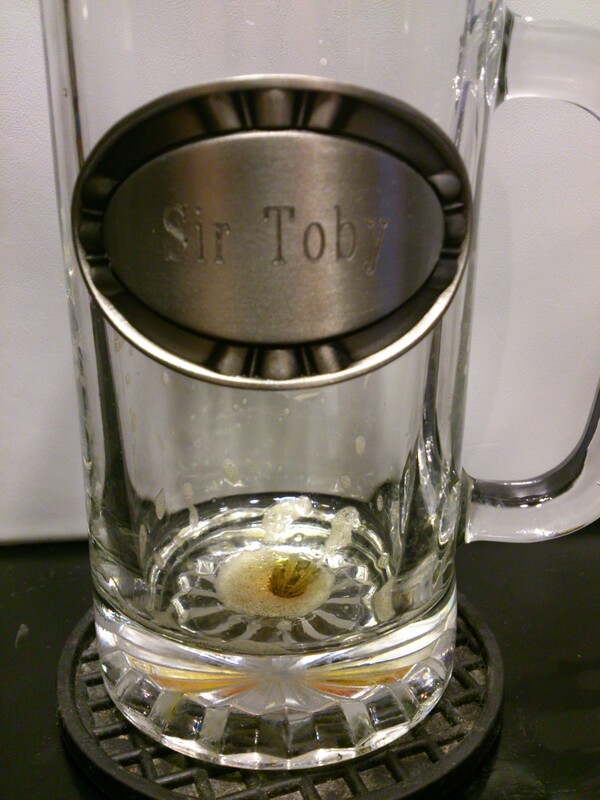 Poured from an 11.2 oz bottle into my beer mug (a groomsman gift from my buddy and brother-in-law John Flanigan). 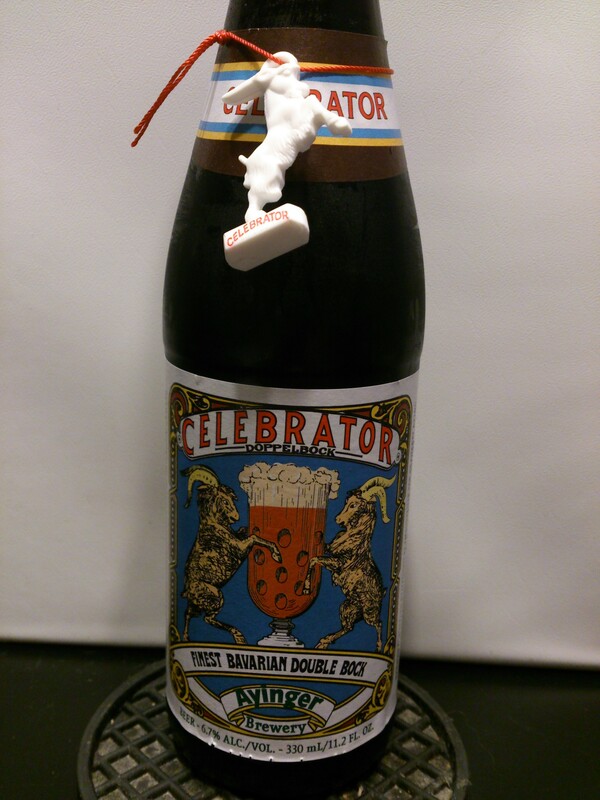 Celebrator is a dark cola color. The head is tan and foamy, and dissipates quickly. 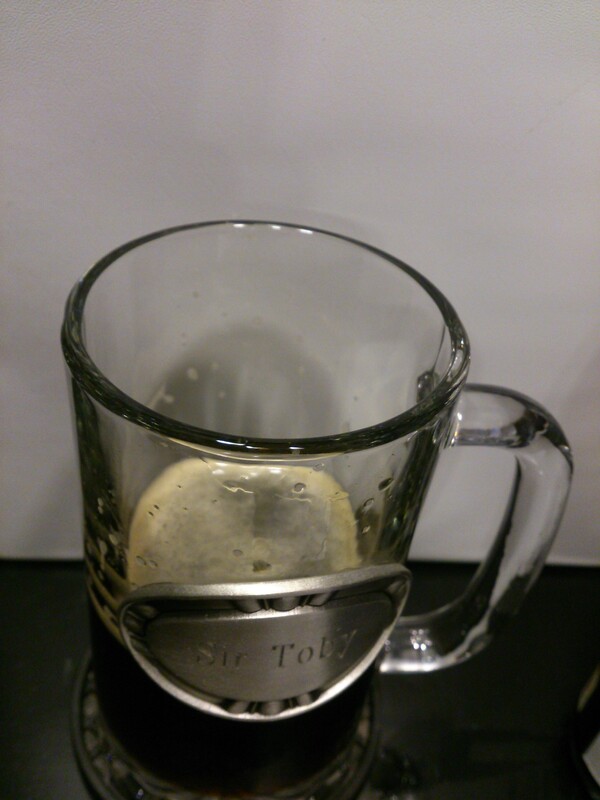 Minimal lacing is left on the glass. 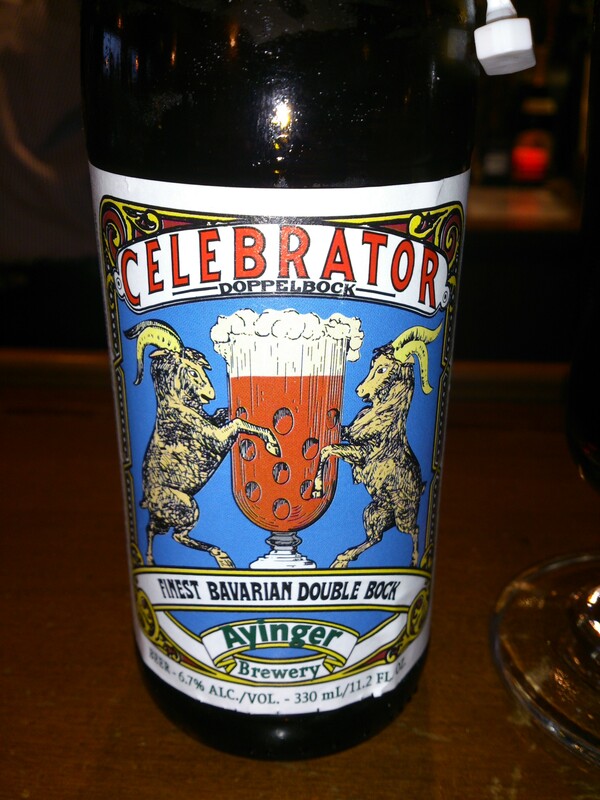 Sweet, bread-like yeast aroma, dark fruits, malts, molasses, brown sugar. Rich, smooth, creamy mouthfeel up front, with all of the nose represented in the flavor. The complex flavors are mixed astoundingly well. It finishes clean and dry, with a great lingering aftertaste that is subtle and sophisticated. 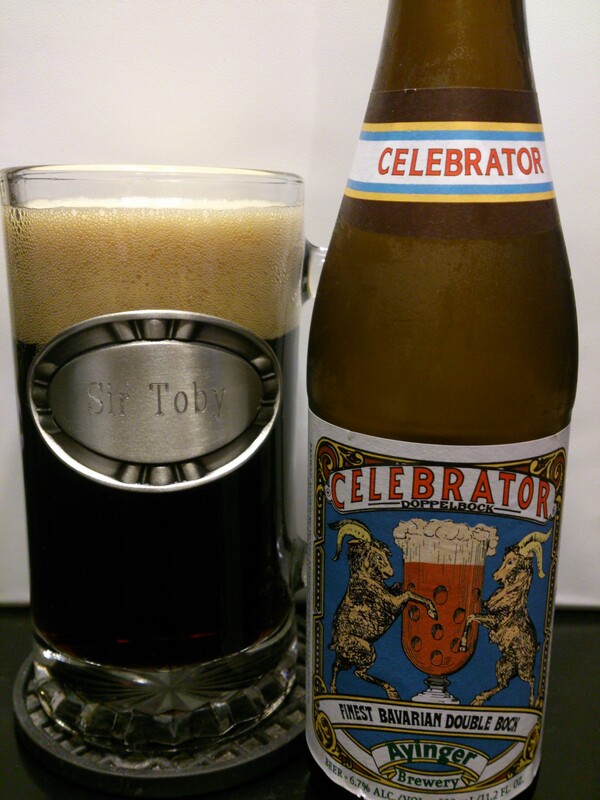 Celebrator is a very, very good beer. It is definitely the best lager I have ever had. The flavor is delicious, complex, and artful. 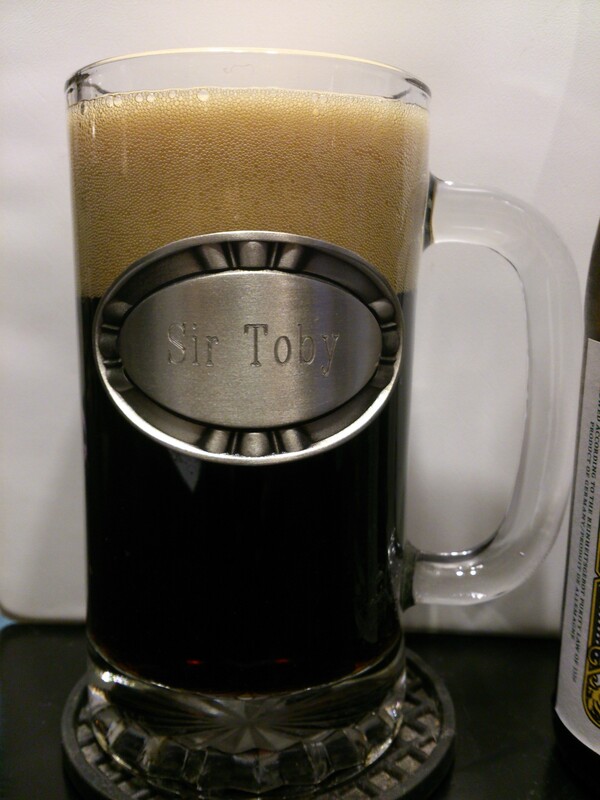 It begins like a huge beer, and finishes smooth, refreshing and sessionable. Easy to drink and delicious. 9/10. This entry was posted in Beer Reviews, Bocks. Bookmark the permalink.